ARE THERE ANY PRE-COURSE REQUIREMENTS FOR THE PPL? You don't need any specific qualifications to learn to fly, as long as you have the desire, time and money. However, it makes a great addition to your CV. 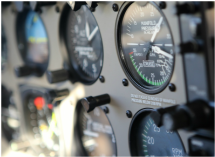 Flying attracts self-motivated achievers from all walks of life; many of the country's best known entrepreneurs have a private pilot's license. You'll also need a medical with a CAA approved doctor before you can fly solo. Students can start logging flying hours at 14, fly solo at 16 and obtain a licence at 17. Don't forget to have a look at some of our case studies and member testimonials and see why Take Flight is a great place to learn to fly. The EASA-PPL course is a minimum of 45 hours, however only an intensive student with natural ability and consistently good weather is likely to achieve their PPL within this time frame. In practice, most people complete their PPL in around 60 hours. This will vary depending on how frequently you are able to fly, your ability and also if you get held up due to weather. Of the 45 hours in total, a minimum of 25 hours will be under dual instruction and at least 10 hours supervised solo. The 10 hours solo flight must include at least 5 hours cross country time and this will include a Qualifying Cross Country Flight of at least 150 nautical miles landing at two other airfields. The remaining hours can be completed dual, solo or some of each. Whether you are a student or a license holder, there is a membership fee of £40 per month payable by standing order on the first of every month. We have a variety of aircraft on which you can learn to fly. 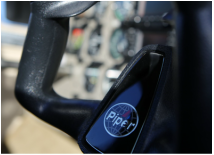 Hire of the aircraft is paid directly to Take Flight Aviation and instruction is paid directly to the instructor. The cheapest aircraft you can learnt to fly in is the Cessna 152 which is £109 per hour for the aircraft hire and £30 per hour for an instructor; a total of £139 per hour. There's no additional surcharge or landing fees as with some operators, with the only exception being night training, which attracts £10 per sortie fee payable to the airfield. Other extras to be aware of are the PPL skills test fee taken at the end of your course which is payable directly to the examiner, CAA license application fee and charge for your medical examination. The CAA have some new webpages that form part of a new private pilot licensing portal that will continue to be developed over the coming months which can also provide you with some guidance. There's a link to the CAA web site on our resources page for more information. We do offer pre-paid PPL packages, please contact us for more information. WHAT'S INVOLVED IN THE COURSE? 1- pre-flight operations, including mass and balance, aeroplane inspection and servicing. 4- flight at critically low airspeeds, recognition of and recovery from, incipient and full stalls. 5- flight at critically high airspeeds, recognition of and recovery from spiral dives. 11- operations to, from and transiting controlled aerodromes, compliance with air traffic services procedures, communication procedures and phraseology. WHAT THEORY EXAMS ARE THERE? In order for you to take the PPL skills test at the end of the PPL course, you will need to have successfully completed all nine theoretical exams in: air law, operational procedures, human performance, meteorology, navigation, flight performance & planning, aircraft general, principles of flight and communications. All of these can be completed on site at Take Flight for a cost of £25 per exam; the questions are all multiple choice and have a pass mark of 75%. You have 18 months in which to complete all nine exams from the end of the month that you have attempted your first exam, and once all exams have been completed, you then have 24 months from this date in which to successfully pass your PPL skills test. You attempt each exam up to three times but all nine exams must be completed in no more than '6 sittings' (a sitting has been defined as a period of ten days). In addition to these exams there is also a practical radio telephony test, conducted by an RT examiner in order for you to gain your radio license. WHAT KIT DO I NEED TO PURCHASE? It is not essential for the start of the course, but as soon as practically possible you will need to purchase your own headset. 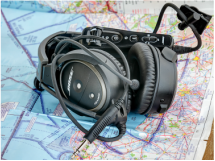 We do have some loan headsets at Take Flight but they are mainly used for trial lessons - you don't really want to be wearing one that has been on so many people's ears! You will also need to read the PPL theory books, which you can purchase from Take Flight. Book one supports the practical flying training and it is useful if you can read ahead for the next lessons so it all falls into place when you actually come to fly in it. Navigation equipment such as a knee-board, rule and plogs will need to be purchased later on in the course but your instructor will advise you nearer the time. If you can afford to buy all your kit at the start, there's a PPL starter kit which can be purchased directly from Take Flight. We stock all essential kit and Take Flight members get discount on any on-line purchases from Pooleys Flight equipment. The PPL starter kit comes free with a Take Flight pre-paid 45 hour PPL course. DOES TAKE FLIGHT OFFER ANY GROUND SCHOOL FACILITIES? Yes. Don't worry if you're not a great scholar. We do offer one to one ground instruction with a local instructor at a time to suit you, which is charged at £20 per hour or we can recommend a residential course. You can of course just self-study for the exams at your leisure using the training books and let us know when you are ready to sit each exam. WHICH AIRCRAFT SHOULD I COMPLETE MY COURSE IN? This is entirely up to you. From a financial point of view, the 2 seat Cessna 152 is the cheapest option and is a good basic trainer. When you have your licence you can then complete the familiarisation training with an instructor so that you are able to fly a 4 seat aircraft and take your family and friends to lunch across and the country and beyond. We operate over a dozen aircraft from Wellesbourne Mountford Airfield in Warwickshire; if you are on the tall side or bigger built you may find a PA-28 better from the start. Why not have a sit in the aircraft to see which one you prefer, maybe even take a trial lesson before you decide? Once you have started your course many people prefer to stick to one type of aircraft for consistency, as they do handle differently, it will boost your confidence and many students training for their PPL get quite attached to the one that you fly! There are many ways in which you can book; email us, pick up the phone or drop into the Take Flight offices for a chat and free consultation, have a look at the best aircraft for you and meet some our the team.